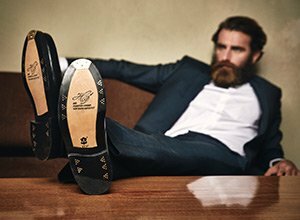 You are sure to draw second glances when you wear this premium men’s accessory. This stitched full-leather belt impresses with a combination of quality materials, meticulous construction, and modern design. 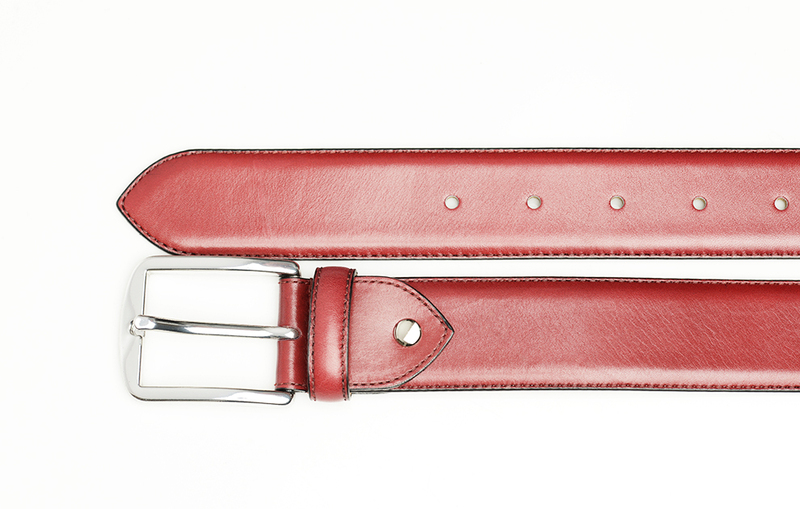 A perfect match for our classic red Goodyear-welted footwear, this belt is a must for fans of stylish, elegant design. 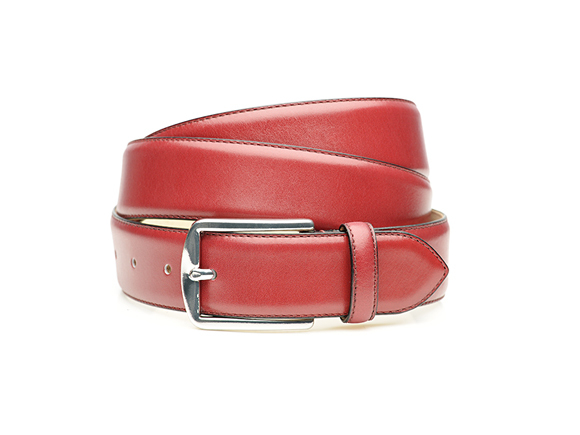 This red, full-leather men’s belt is made of two strips of leather that have been tightly stitched together—the same kind of leather, in fact, that is used to make our men’s shoes. The inner layer has been tanned using a gentle, entirely plant-based process, which results in leather that is very easy on the skin. The outer layer, on the other hand, has been fully-dyed red, forming a striking contrast against the silver buckle closure. The buckle itself is completely free from nickel, making it suitable to wear for those with a nickel allergy. 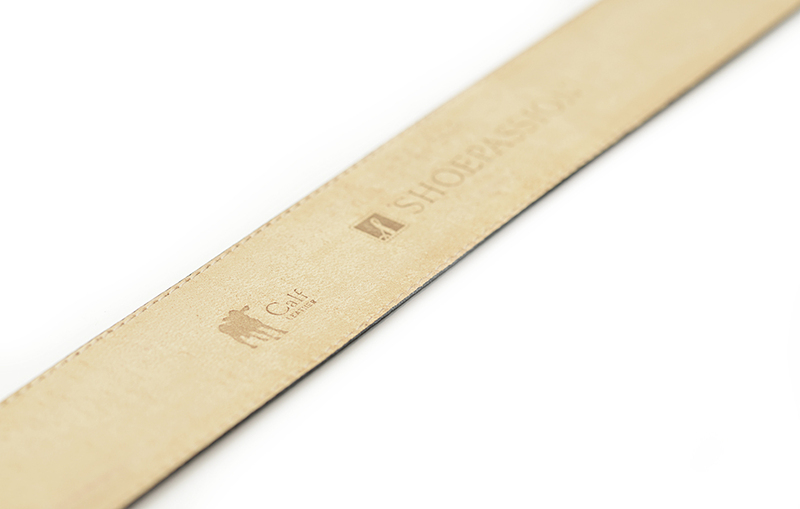 It is also easy to remove to adjust the length of the belt. 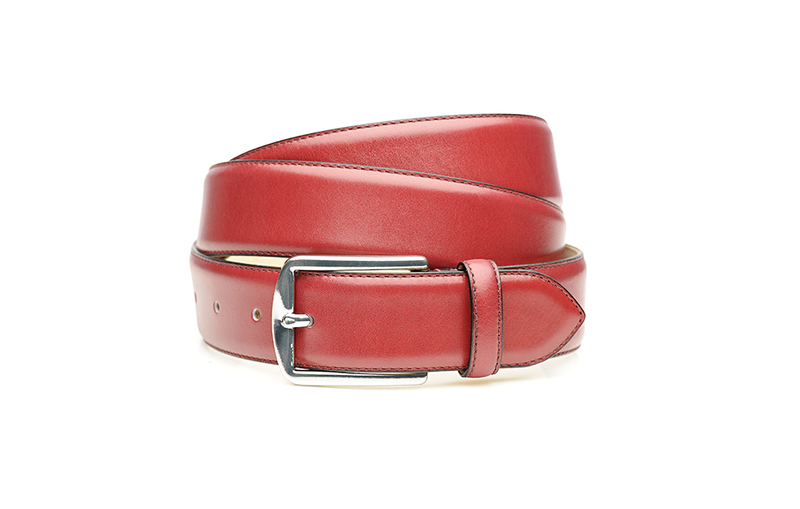 This men’s leather belt in red is available in five sizes. To determine your size, match the width of your trousers’ waistband to the distance between the middle belt hole and the outer edge of the belt buckle. 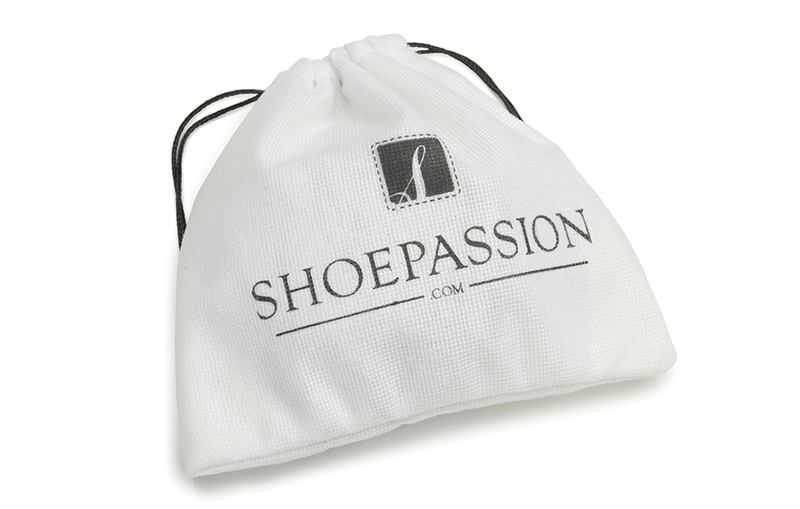 Your belt will arrive inside a soft SHOEPASSION.com cloth bag.